As much I as I like these handsome pistols for informal target work, small game hunting, or just knocking around in the woods, their original purpose was for “serious” matters in one area of the self-defense arena, military service. Like its Browning-born predecessor, the 1911, the single-action Hi Power’s initial reason for existence was as a military sidearm and not individual civilian self-protection. It is nice that both readily lend themselves to this, however. In most cases, the military requirements for a sidearm differ from that of the private citizen’s. With the soldier, the pistol is usually a secondary weapon if he has one at all. The private citizen will be using it as the primary and possibly only weapon at his disposal in “the dark place.” While both the soldier and the private citizen might be attacked without any warning, the citizen will usually be at arm’s length or so from his aggressor while the soldier’s enemy might be a hundred yards distant. To me, this suggests that in most cases, the citizen’s response must be quicker and at least initially without taking cover if unexpectedly subject to violent attack. 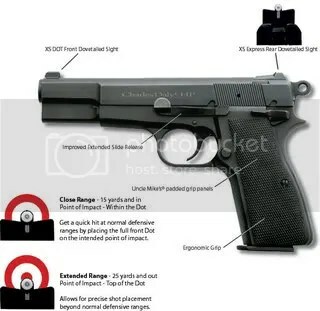 The military pistol need only feed ball or FMJ rounds (unless one is being used by certain SOG’s in situations against people not deemed “soldiers”) while the citizen’s pistol will be expected to work reliably with about any kind of ammo the guy can buy. The soldier’s sidearm need not be concealed in most cases while exactly the opposite remains true for the civilian carrier. Again, we’re fortunate that the Hi Power can be pretty easily concealed for the size handgun it is. 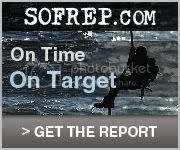 Neither needs to be capable of formal competition accuracy, but both do need to be “accurate enough for their intended mission” as has often been stated. I’m glad that in good examples, the Hi Power is usually capable of better accuracy than most shooters can wring out of it. Both must be reliable and the Hi Power is…with one caveat. The older “classic” Hi Powers were intended to work with FMJ ammunition as used by their first “employers,” the military. These pistols are the ones made prior to the FN Mk II pistols and have the “humped” feed ramps that worked great with ball, but so-so with some JHP’s and no-no with others! Hi Powers made from the Mk II forward work fine with most JHP ammunition that I’ve tried that weighs from 115 to 124 grains and while my testing is limited with the heavier bullets, the guns have worked just fine with the 147-gr. slugs. If your Hi Power is pre-Mk II, you may have feeding problems with some of the blunter, shorter JHP ammo used today. You can either use ammunition having a rounded bullet profile as exhibited by Federal’s 115-grain JHP, both standard and +P version, or Remington’s 115-grain JHP, also available in standard pressure and +P. If you want to use something else, but the reliability is just not there, you can have a competent gunsmith “throat” the feed ramp on your Hi Power. This is not difficult, but must be done right. 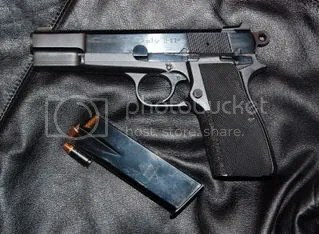 This is the Browning Mk II 9mm pistol. 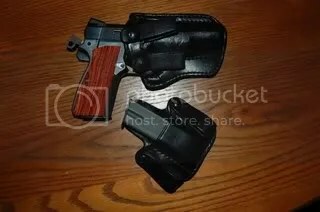 It is the first commercially available Hi Power to be sold having extended ambidextrous thumb safety levers and is quickly identified by its narrow “rib” running the full length of the slide. The front sight is not serrated from the factory and is integral to the rib. Though still somewhat small, the fixed sights on this version are more usable at speed than those on earlier Hi Powers. These guns are the first I’m aware of that came with the non-humped feed ramps straight from the factory. As has been the case with the Mk III Hi Power, these pistols have proven extremely reliable with a very wide array of JHP ammunition. 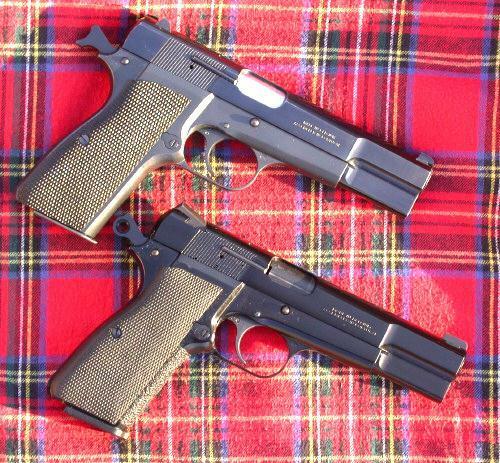 Taken from Browning’s site, this is the Mk III pistol and there are differences between it and the classic Hi Power and the Mk II. Note that the fixed sights are larger and that both are dovetailed to the slide. The ejection port has been enlarged, but is actually beefed up a bit at the lower rear to prevent slides cracking when used heavily. Like the Mk II and the classics made in the ’70’s, it has the spur hammer. The Mk III pistols sold in the US have internal firing pin safeties not present on the classics or the early Mk II pistols. For lots of shooting or defensive use, the Mk III is my first choice. Even though my eyes are not what they used to be, I find that the sights on the Mk II or Mk III pistols work fine and I have no trouble with them when practicing quick, defensive types of shooting. I do find the older Hi Power’s fixed sights to be a bit lacking although OK for slow deliberate fire. I find that I do no better or worse with the very popular Novak fixed sights when compared to the factory Mk III sights in slow or rapid fire work. While the defensive Hi Power does require “good” sights in my opinion, I find that the factory sights are plenty “good” enough. On the other hand, there is utterly nothing wrong with having a set of Novak or Heine sights installed on your Hi Power. Just be sure that they are “on” for you. Though I’ve not yet tried them, Novak’s new adjustable rear sight looks to be a very viable option for the Hi Power shooter preferring to be able to change his sights to exactly match various loads. Of the adjustable sights I’ve tried, those from MMC are likely the strongest, but I’ve seen Bomars used on a couple of 1911s under other than range conditions and they held up fine. In general though, fixed sights are the most popular for defense guns, including the Hi Power. What I’m getting at is that the defensive Hi Power requires sights that can be seen at speed. I do not care for the “express” sights that have some following these days. I personally found them no faster than conventional high-visibility sights and more difficult to get precise hits with. This might be of no import if on a derringer or even a small snub where most expectations are only for close, coarse accuracy, but the Hi Power is capable of so much more that I do not recommend the use of “express” sights. I have been asked about rear sights having the large “ghost ring” aperture, but have not tried it so I cannot comment. If you opt for night sights, you’ll get no argument from me. I still prefer plain black on black sights, but if shooting in extremely dim light, the night sights do make getting good hits easier. If you opt to use them, understand that their life span is about 12 years or so. This Mk III 9mm has Novak fixed sights. They are visible at speed and these are plain black sights. They are available in night sight versions, as are those from other makers. This pistol has had other modifications as well. I do no better with these sights than with the fixed sights that came on it. If you have a Mk III, you decide what is right for you. If you have an older Hi Power, a change to higher visibility fixed sights is a necessary upgrade in my opinion. 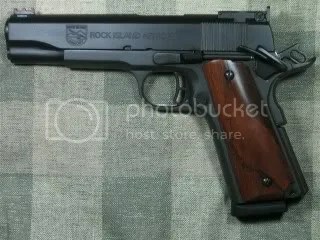 I find the extended thumb safety necessary on the Hi Power, but do not on the 1911. The small classic thumb safety lever is just too small for best work at speed in my experience and some are pretty stiff as well. I prefer the FN factory extended thumb safety to the others I’ve tried, but don’t care for ambidextrous safeties on the Hi Power. The reason is simple. I have large hands and have on occasion accidentally engaged the safety in the middle of a rapid-fire string! Other folks report no such problems, but be aware that it can happen and determine if you’re prone to it or not. I remove the right-side thumb safety lever and reshape the shaft it was mounted on. Cylinder & Slide does offer extended ambidextrous and single-side safeties for folks not liking the factory version. 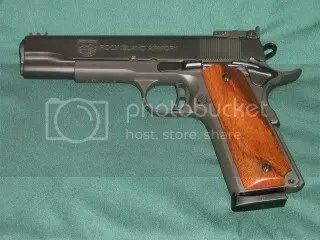 Any should fit any version of the Hi Power as well as the clones, but it will probably need to be fitted by a gunsmith. Probably the most controversial issue in the defensive Hi Power modifications is removal of the magazine disconnect. Sometimes called “magazine safety,” this device prevents the firing of a chambered round if the magazine is removed. 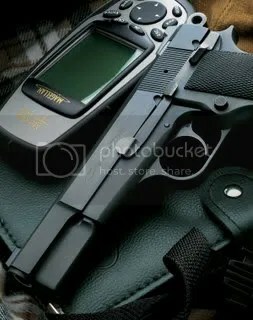 In short, the pistol cannot be fired with the magazine removed. (Actually, it can if you apply pressure to the trigger sufficient to keep the lifter firmly against the sear lever before dropping the magazine, but this is too risky to recommend under the stress of a life or death situation.) 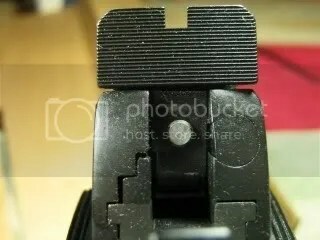 The magazine disconnect is pushed into a hole in the rear of the trigger when the magazine is inserted and the pad area of the “safety” actually moves upward against the front of the magazine when the trigger’s being pressed. It contributes to a poor trigger in most cases and one that’s heavier than the same pistol without it. You decide what’s best for your own unique situation. While speaking of trigger pulls, I’d suggest that you stay in the 4.5 to even 5.5-lb. range. 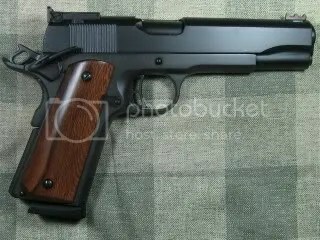 A good gunsmith can provide this and I’ve found that “crisp” and clean breaking is more important than “light” for the defensive handgun and this includes the Hi Power. Like all single-action semiautos, the Hi Power does not “tolerate” improper gun handling and under stress, the errant finger on the trigger might be pressing just a little too hard. You get the idea. My “carry Hi Powers” have triggers of about 4.5-lbs. or so. The gun should be comfortable and if you have the free choice to choose the Hi Power, you probably already feel that it is. I cannot stand the factory checkered nylon grips with thumbrests that come from the factory on the Mk III pistols. The stocks themselves are fine and provide a secure grip, but I don’t find them comfortable. If you do, they’re fine. Most people seem to prefer aftermarket grips for their Hi Powers. I cannot tell you which is best for you, as this must be decided by you. I can say that I prefer Craig Spegel’s checkered grips to any that I’ve tried. I also like the much less costly black checkered rubber copies offered by Butler Creek. They are thicker. Having had my Hi Power (and other handguns) out in rain or in extreme heat, I do find that the checkered grips provide a more secure grip when the hand is wet. Pachmayr offers checkered rubber grips for the Hi Power that also provide checkered covering of both the front and rear grip straps and Hogue offers a version that has finger grooves in the front strap area. Probably the thinnest grip on the market is from Navridex, but I’ve not personally tried them and some people speak highly of grips made by Ahrends. Pick the one that works best for you. The Mk III on top is wearing Spegel checkered black delrin grips while the lower has the Butler Creek rubber grips. The front strap has also been covered with skateboard tape as an inexpensive way to provide a firm grip under all conditions. Stippling from a gunsmith is a nicer way, but also more expensive. Also in the area of comfort is the problem of hammer bite. Many of us are smacked by rear of the spur hammer or the bottom rear of the factory ring hammer when firing the Hi Power, especially if we’ve drawn the gun with a high grip. In the picture above, you can see two solutions that have worked equally well for me. I bobbed the hammer spur of the top pistol at the second lateral serration and fitted the Cylinder & Slide Type I ring hammer on the bottom gun. This solved the problem for me and does for others as well. Other options such as dishing out the shank of the hammer at the back or welding on a tang will probably require the services of a gunsmith. C & S does offer a “no bite” version of the Type I hammer that has the rear of the shank contoured inward to avoid pinching. I routinely use and recommend 18.5-lb. conventional recoil springs in the Hi Power rather than the 17-lb. factory standard. For me, the heavier spring works just fine with both standard and +P 9mm loads. 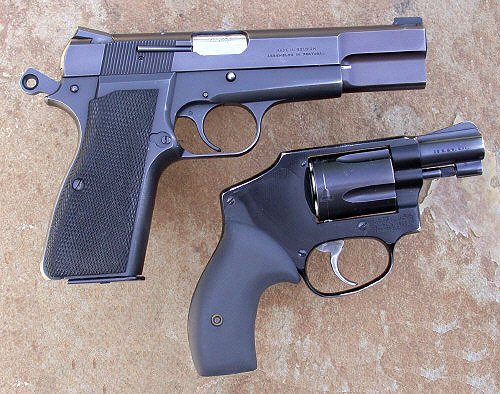 If you do not have a strong hold for whatever reason, your defensive 9mm Hi Power might be better with the standard 17-lb. spring. The reason is that the heavier the recoil spring, the more firm the grip must be to avoid the gun malfunctioning. There is a minimal level of force required to hold the frame in place so that the recoil spring can be compressed against it. It is possible that one’s shooting hand or arm be injured before the need to return fire ceases. I continue to use the 18.5-lb. springs, but this is something you might consider. Extended slide releases are not needed on the Hi Power in my opinion. It’s been my experience that they’re prone to be accidentally engaged by the shooting hand, prematurely locking the slide back with rounds left to fire. The consequences in an actual gunfight or deadly force scenario are obvious. 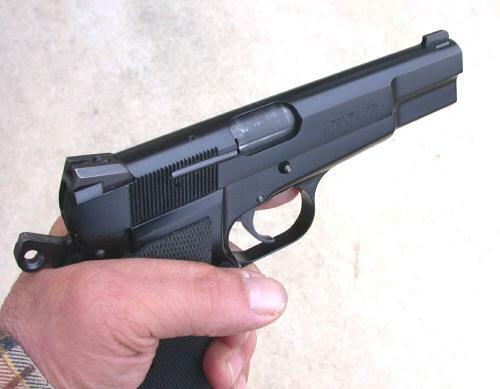 If right-handed or inserting the magazine with the left hand the left thumb can disengage the standard slide release lever or the slide itself can be pulled back and released. Unless your pistol just flat won’t group, I do not find the fitting of a match barrel to be necessary, but don’t argue against it so long as reliability is retained. Most of these will be more tightly chambered than factory barrels so be sure that the Hi Power works reliably with the match barrel before counting on it. I have no strong opinions on finishes for the defensive Hi Power and normally use plain matte blue, at least for the frame. I also use recoil buffers in my Hi Powers and have had absolutely no problem with them with any ammunition use. Some folks are concerned that the thing might come apart in their pistol at the most inopportune times. They will if not replaced when heavily used, but an inspection during cleaning will tell you if it is time to change them out or not. On the other hand, a simple solution is to use the buffer at the range and simply remove it when you get home and clean the Hi Power before carrying it for self-protection. What has been postulated here is that the defensive Hi Power must be reliable, safe, easy to get into action, have sights you can quickly see, and have a decent trigger pull. All of this is for naught if you don’t use quality magazines. For carry, I recommend the factory Browning magazines or those by Mec-Gar, who make the factory Browning magazines. Second choice would be good condition Inglis surplus magazines and finally, the KRD 15 and 17 round magazines. I would use the Post-Ban 10-round magazines before I’d use some of the second rate aftermarket Pre-Ban magazines that may or may not be reliable. 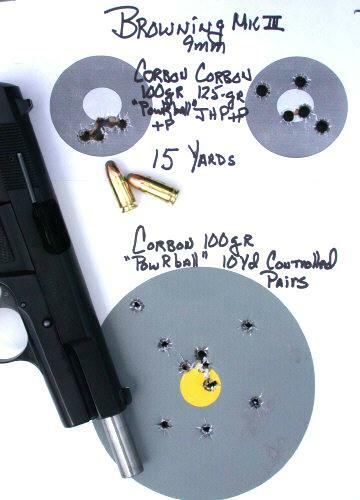 Even if using high quality magazines, test each and every one in your pistol with the ammunition that you intend to use. If you change ammunition, retest. 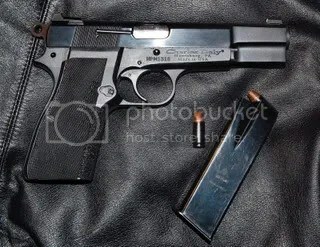 The groups shown were fired from a Mk III with standard barrel, Butler Creek grips, and a trigger job. The top two targets were fired slow fire while the larger target consists of 5 sets of controlled pairs. 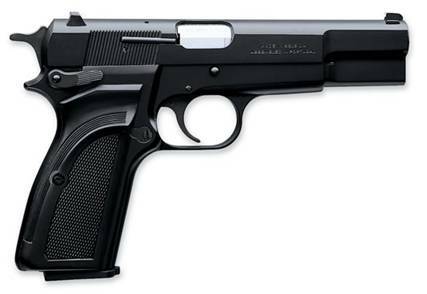 This Hi Power has had minimal custom work done and is plenty capable of handling self-protection needs. 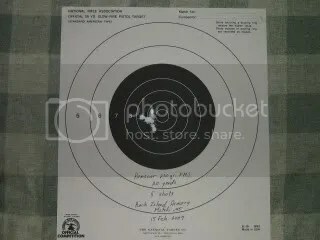 This Mk III has had Novak fixed sights added and the target shown consists of 5 sets of controlled pairs at 10 yards. I see no difference between this and the Mk III using standard sights. On the other hand, there’s really nothing “wrong” with having such sights simply if you prefer them for looks or some other reason. Neither pistol has a match barrel. Both shoot tighter groups than most of us are capable of attaining, particularly under the stress of a deadly force scenario. 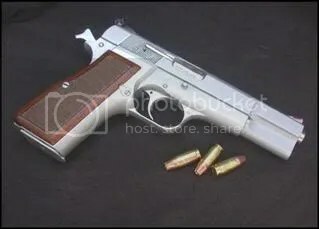 It remains my opinion that the Hi Power, though now “dated”, remains a most viable and world class pistol for not only self-protection, but also just plain fun. Charles Daly Hi Power One Of The Best! 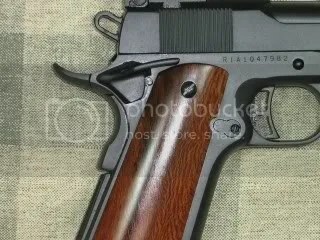 As many of you know from forum post or the information I posted here the Charles Daly Hi Power has been discontinued. Now that doesn’t mean you can’t get one by any means. Many guns have been made with this fine Hi Power version available from wholesalers as well as a great number that were purchased by CDNN. The going price is excellent at between $290 at CDNN or through wholesalers for $330 which is what I paid for my second one a couple of weeks ago. My gun dealer, Cott Firearms , had no trouble getting one for me in three days from request to delivery. After exchanging emails with Michael Kassnar, CEO at Charles Daly, I was assured the warranty on these guns will remain in effect as if it was a current production gun. It’s unlikely but they have many parts should you require service or parts replacement. 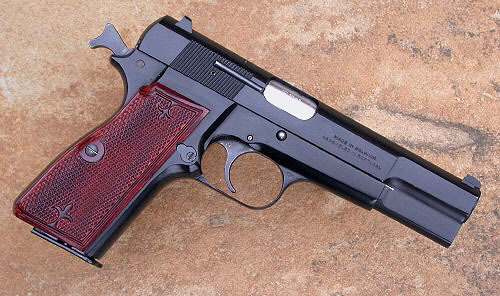 This version of the Hi Power differs from the Browning in several ways. One important way is the factory trigger pull is better with the Daly than the Browning. Also, the Daly has a thumb safety that is very similar to the one that Cylinder & Slide sells. The safety is easy to manipulate and has a positive click both on safety and off. The commander type hammer doesn’t bite as the standard hammer does. The supplied rubber grips are patterned after the Craig Spegel grips which feel better than any grip you can buy for the Hi Power. The sights are also an improvement over the Browning sights having the XS sight system. These sights have a shallow v notch with a vertical line while the front sight has a large white dot. Essentially what you have is a dot that is placed over the vertical line making it look like a lollipop:-) It’s a very fast sight set giving you a very quick sight picture for up close work. The magazines are very good being made in Italy. Yours may say MecGar or another name but they will say made in Italy. 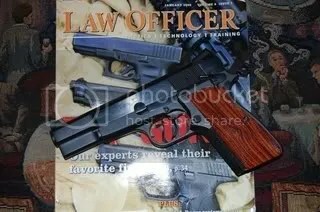 This is the magazine company that supplies mags for Sig as well as many other top of the line pistols. For my extra mags I use the 15 round MecGar’s. 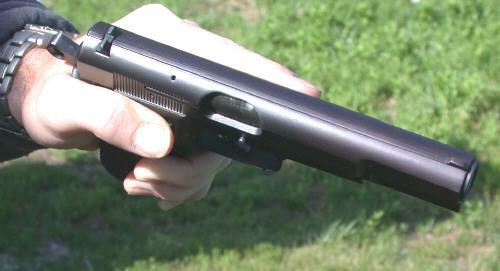 The mag release is also slightly longer than a stock Browning type allowing for positive magazine ejection. A good deal of thought was put into the extra features of this pistol. It isn’t necessary to add new sights, thumb safety etc since the factory ones are very usable as is. The guides are very well written and the instructions are clear and easy to follow. The pictures that accompany the instructions are also very good. 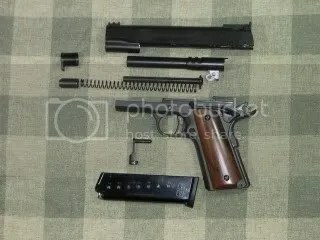 This guide makes it very easy even for a novice to completely strip the Hi Power down to the last part and reassemble. Stephen is also very easy to contact via email if you have any questions. His website also has a forum section where you can get together with other Hi Power enthusiast. There are a few other modifications I like to do on my Hi Powers. Besides removing the magazine disconnect I also like to change out the trigger for one made by Cylinder & Slide. The C&S trigger has no accommodation for the mag disconnect which is good from a legal standpoint. This prevents some lawyer from accusing you of removing a safety device even though the mag disconnect isn’t a true safety system anyway. The trigger surface is wider making it easier to gain a good purchase on the trigger and the trigger does feel lighter because of the increased surface area. The surface is also a bit more rounded than the stock trigger. 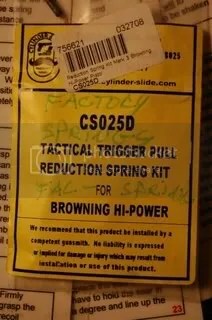 I also purchased a spring kit #CS025D from C&S. This spring set is the Tactical Trigger Pull Reduction Spring Kit. This takes the trigger pull down another 1.5 pounds. Included is the extra power trigger return spring, extra power mainspring and extra power firing pin spring. I also change the recoil spring to an 18.5 from Wolff. The 18.5 works very well for +P rounds and functions fine with standard loads. This kit not only reduces the trigger pull but resets the trigger for faster follow up shots. The springs also last a very long time with no need for any spring replacement for at least 5000 rounds depending on how many +P’s you use. The spring kit is show above with the Stephen Camp Hi Power guide. Stephen is one of the foremost authorities on the Hi Power regardless of who makes them. The Daly Hi Power parts also interchange with any brand or type of part without exception. Once the mods are done you will notice a very pronounced improvement in the trigger pull. The trigger pull on this recently purchased Hi Power now has a trigger pull of 4.3 pounds. This is certainly about perfect for a carry pistol. The mods take about 3 hours to do since you have to completely disassemble the pistol. The mods are fairly cheap. The spring kit is $17.50 with the C&S trigger at $37 from Brownells. The recoil spring is $4.95 from Wolff. Shooting the Hi Power is a joy. Outside of the 1911 no other gun comes close to the comfort of the Hi Power grip as well as the natural pointing attributes of this design. 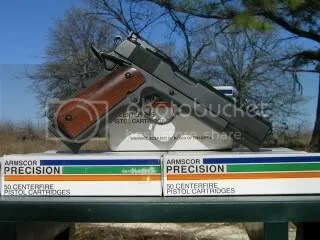 As far as carry ammo I use Winchester Ranger “T” 127 grn. +P+. This is the best carry ammo in 9mm you can buy. It’s very hard to find right now so my second choice is the Federal Tactical HST 124 grn. +P round. These are Law Enforcement only rounds but can be purchased legally. Only the factory restricts the sale of these rounds to the public. 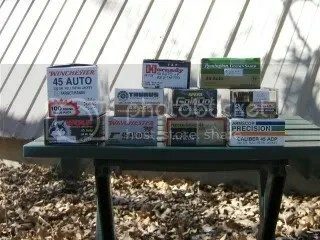 The best place to buy this ammo is Tactical Defense Solutions at http://www.tds-us.com/catalog.php/tds/pg10243. If you are a soldier or a police officer you are also eligible for a good discount after sending in a copy of your military or police ID. They are also great folks to deal with. They also carry LEO only Speer Gold Dots and assorted other brands. This HP has a matte black finish with nicely polished slide flats. A very handsome finish to be sure. You can see the thumb safety in this picture and the similarity to the C&S type. I get kidded a lot since most of my pistols have skateboard tape on the front of the grip but hey it works and provides a good solid non slip grip even with wet or sweaty hands in summer. You can normally get the tape from any skateboard shop for free since they have scraps lying around. Sometimes you can also find some at Walmart if you have no skateboard shops in your area. By the way the rounds pictured are Hornady TAP 124 grn’s. I picked up a box of these a few months ago. Since I have six loaded mags I left one loaded with these. Some may consider the 9MM an underpowered round but you have to remember that the 9MM round has undergone many very significant improvements in recent years. 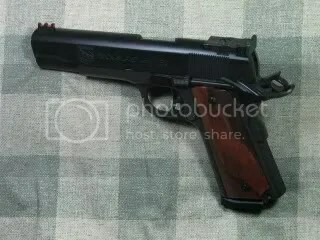 If you do your part this round and this gun will do it’s job very well. To conclude the P-35 Hi Power is a time tested design that is still very popular after all these years. It’s a favorite of mine. 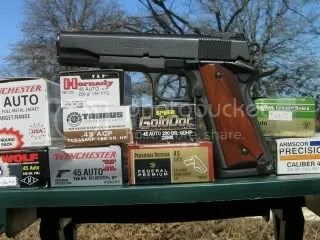 I tend to rank the 1911 first but sometimes it’s almost a tie for first with the Hi Power. At worst I would rank it second finest pistol of all time. If you are in the market for a Hi Power or just a reliable as well as beautiful pistol you would be served well by this Daly version. Get a new one while they are still available! I’ve learned some sad news directly from Charles Daly this afternoon. The Daly Hi Power has been discontinued. I really hate to hear this news since I think a lot of this gun. There are still some out there at various distributors so if you want a new one now is the time to get it. Of course all warranties are still in effect so that should be of no concern to any potential buyer. 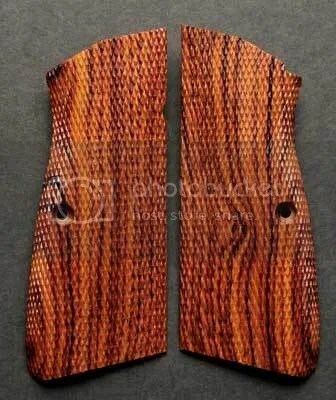 After these are gone we’ll just have to locate them on the firearm auctions websites. I did check with some distributors and was able to locate some of these hi powers. The prices are around $330 (includes shipping) to your FFL. Daly has reduced the prices for the remaining inventory. 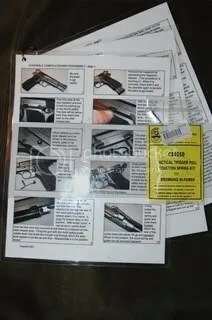 For your readers, serial numbers beginning with HP—- were completed by Dan Wesson. Serial numbers beginning with HPM—- were completed by Magnum Research. I’ve been comparing the Browning HiPower with the Charles Daly version and come up with some interesting conclusions. Now some may say there is no decision to make you can’t beat the original Browning. If a shooter comes to this conclusion that’s certainly fine but here’s some food for thought. I was able to find a Browning HiPower at Bass Pro Shop for $595.00 which is a very good price for a blued fixed sight Browning. I also found a Charles Daly HiPower for $399.00. Ok, $200 difference between these two guns. I’m sure I could find a Daly for less money but lets just go with the $200 difference in price. manufacture most of the components and Magnum Research (Desert Eagle fame) doing the final machining, finishing, assembly and test firing here in the US. The Daly Hi Powers are very well made. They weren’t always fine guns (the 1911’s) but in the last ten years quality has been greatly improved. On to the feature comparison. The Browning has the standard ambi-safety which for me could be improved. The contour and surface area leave something to be desired for positive function. It’s a hard safety to manipulate and many Browning owners change this part out with a C&S thumb safety. The Daly has a single thumb safety but is designed much like those tactical safeties for the 1911. It has a wide flat upper surface which the thumb just naturally engages. The safety is also crisp whether flipping it up to safe or down to fire. The tension is perfect and very positive to engage. The trigger on the Browning is as always very heavy with very perceptible stacking as slack is taken up. This is because of the mag safety which is a useless feature and shouldn’t even be called a safety feature. This can be remedied by replacing the factory trigger with a C&S trigger which has no accommodation to reinstall the mag safety. This greatly improves the trigger pull. The Daly uses the same setup but for some reason the trigger is much, much better even with the mag safety in place. Since all parts between these guns are the same you can also replace the Daly trigger with the C&S for an even better trigger pull. My personal feeling is that once you bring the gun home that’s the first thing I would do is change out the trigger. One consideration is the legal ramifications should, heaven forbid, you ever had to use your gun in a violent encounter. Lawyers love to hang anyone who disengages what they term a safety device. This is a big consideration when having any custom work done on a gun. I can live with the Daly mag safety whereas the Browning trigger is just awful with the mag safety. One minor consideration for me is the hammer. The Browning uses a standard hammer which can bite you pretty good. The Daly uses the commander type which is easier on your hand. Next lets compare sights. The Browning has the usual higher profile plain black sights. Not ideal sights but certainly usable. The Daly has the XS sight system pictured above. It uses a large white dot on the front sight with a v notch on the rear with a vertical white post. 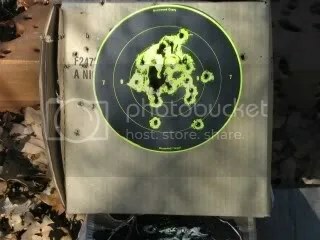 You just place the dot on target on top of the rear post and fire. These are also available with tritium inserts from the factory. They also have an option of a larger dot in the front if you prefer. I know some don’t like these sights but after speaking with Sheriff Jim Wilson he agrees that these sights are very fast to get on target. If you are approaching 50 years old your older eyes appreciate this setup even more. 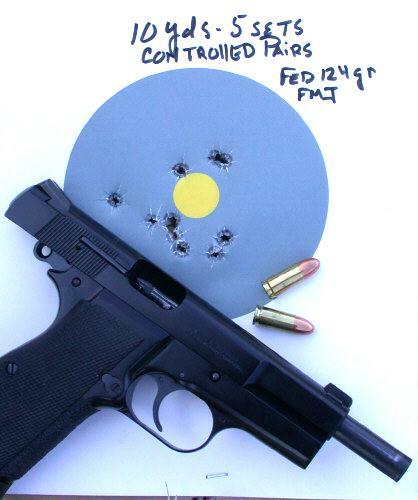 Sheriff Wilson has these sights on his Walther PPK and several other of his guns. He also owns a Daly Hi Power. 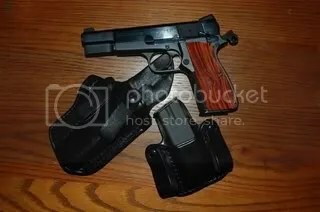 After testing it he bought it:-) These are the basic differences between the two guns but they are major differences. As Jeff Cooper said what you need on a fighting gun are sights you can see and a good trigger. Everything else is secondary in my opinion. Cosmetically the Browning with a blue finish is beautiful as always. The Daly is also blued but doesn’t have that deep blue the Browning has. One thing Daly did was to get rid of the silver highlight stamping on the slide. I always though that was a bit gaudy. The new ones still have the large name on the slide but has no color to it. It looks much better this way. Both guns are attractive but you have to give the nod to Browning on the guns with the deep blue finish. Now for the question—do you want to pay the extra $200 for the Browning name and beautiful blue finish and the need to do some type of work for a serviceable trigger which of course means spending more money. Will you be satisfied with the Browning sights or would you rather have a sight system that is superior and very fast on target. Can you live with the thumb safety on the Browning or would you rather have a Daly which already has a fine thumb safety? In short the Daly doesn’t really need anything done to it it’s fine as is or would you rather spend the extra money on the Browning? What did I decide to do? I’m going to buy the Daly. 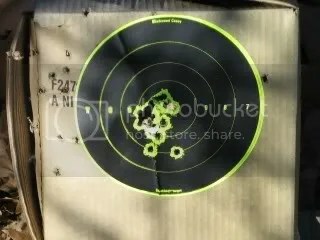 I’ve shot both guns a lot. They are both very accurate and reliable. The Daly is a little more accurate but I believe that’s because of the good trigger. The Browning suffers in accuracy because of a heavy trigger. What would I really like to do? Buy both and have the work done on the Browning but for me that’s not an option. Being a retired police officer I’ve had to save and before retiring work all kinds of off duty jobs to get the guns I have. Some great fellow shooters can afford to do what they want and more power to them but for most of us we have to choose between guns and plan ahead and of course save money for our guns. One last thing. Do I feel comfortable with the 9MM. In short a resounding yes! Over the last ten years or so ammunition companies have made great strides in developing better loads for all calibers. The 9MM has probably benefited more from these improvements than any other round. Give me a Daly Hi Power loaded up with Speer Gold Dot 124 grn +P or the Remington Golden Saber 124 grn +P and I feel very well armed! One last comment. Stephan Camp is an authority on the Hi Power and has his website listed in the blogroll. He also puts out a very nice book on disassembly of the Hi Power and other reference material. Give his site a look it’s very informative. As always if you have any questions or comments please don’t hesitate to contact me. I’m always glad to help in any way I can.